Take a bite out of this delectable Red Velvet! 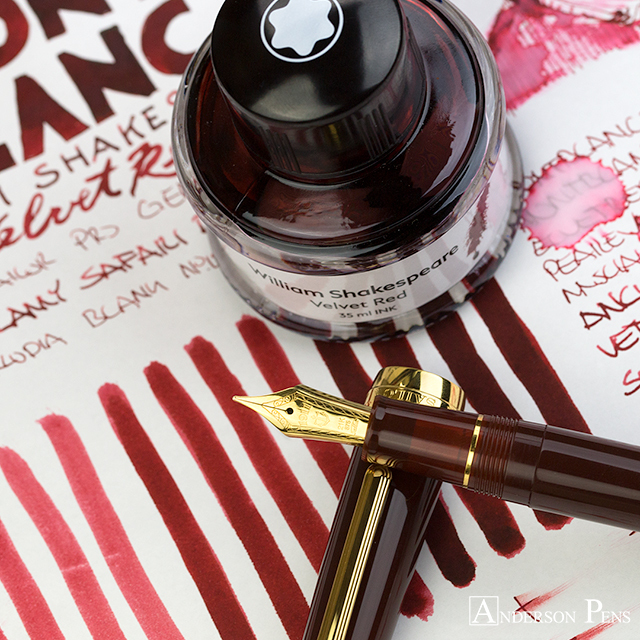 Montblanc delivers a deep, sensual red with shading that is the icing on the nib! 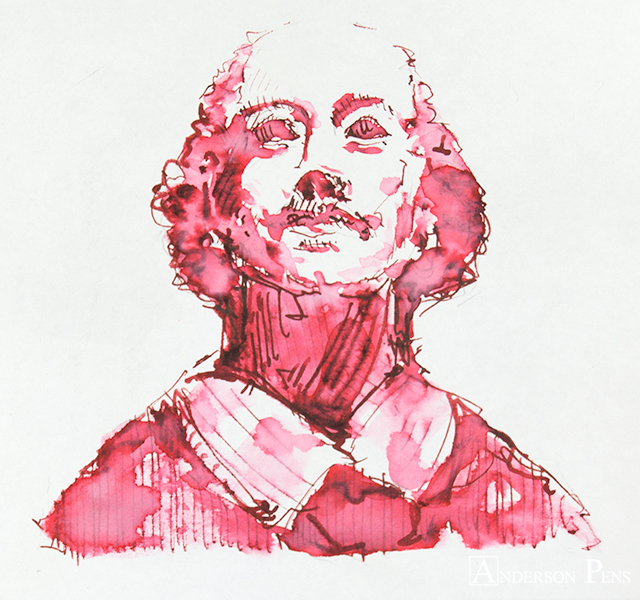 William Shakespeare Velvet Red is the latest ink to accompany the yearly Writers Edition pen. 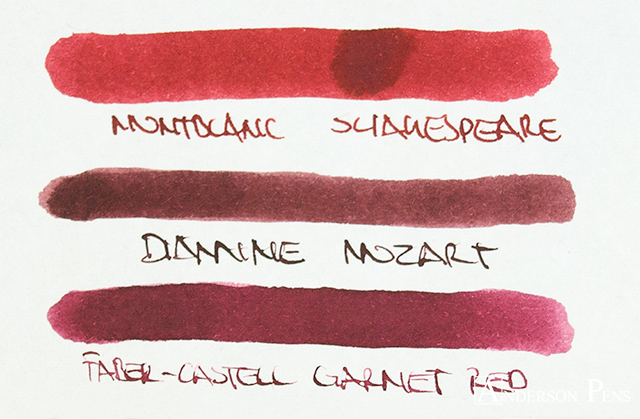 Since discontinuing Corn Poppy Red earlier this year, Velvet Red is the truest red currently available from Montblanc. The ink comes in Montblanc’s 35ml round bottle. While perhaps not as pretty as the square 30ml bottle, it does provide 5 additional ml without an added cost. This review was done with a Sailor Pro Gear F, Lamy Safari B, and on Rhodia blank no.18 paper. Velvet Red is a fairly true red. 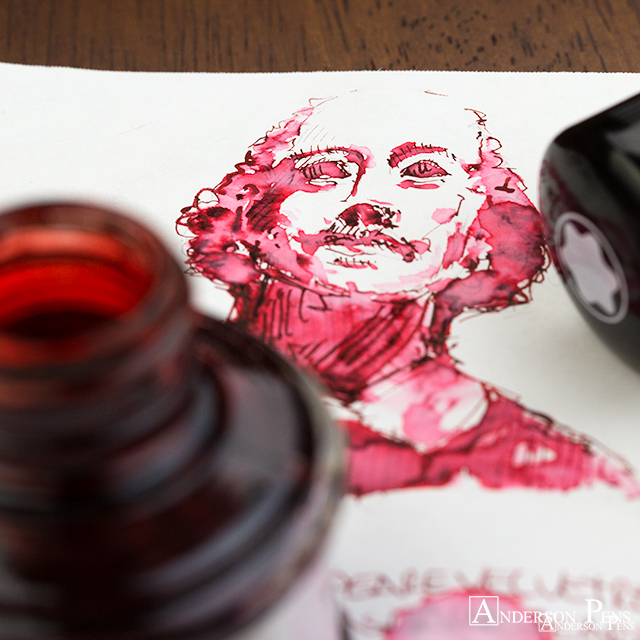 In a fine nib, the ink is more concentrated and has a darker garnet color. 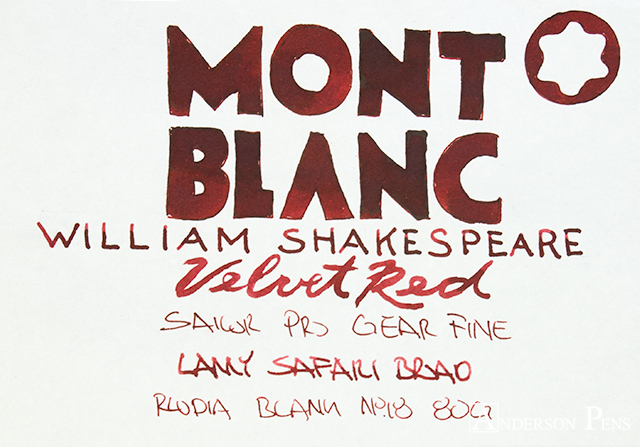 With a broad nib, the ink shaded more and that brought lighter cherry and crimson colors. 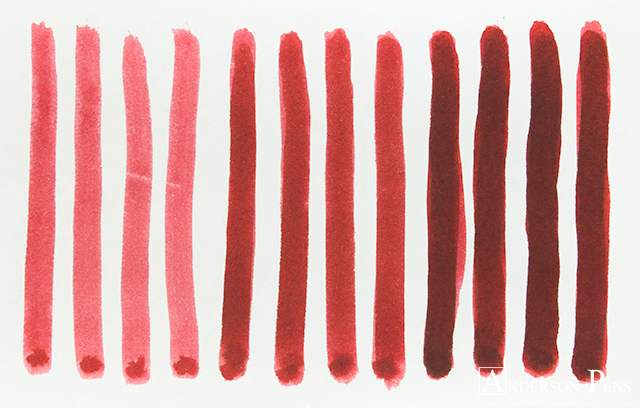 The color is very similar to the ever popular Diamine Oxblood, although it doesn’t have any of the brown notes that sometime accompany Oxblood. 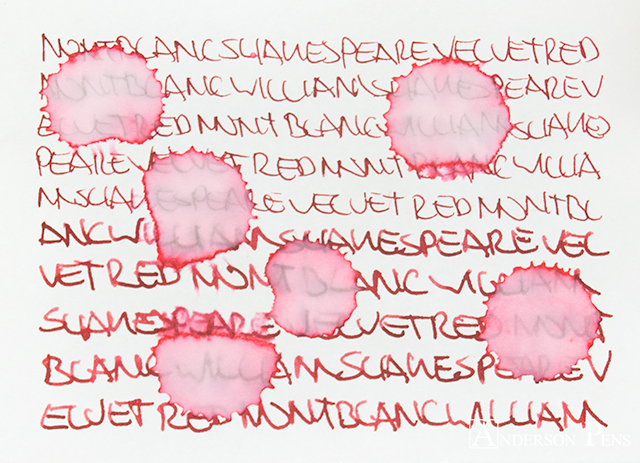 Like other Montblanc ink, Velvet Red performed very well. Flow was good and there was no feathering or bleedthrough on Rhodia paper. Saturation was on the moderate to high side with moderate shading. Dry times were good at 15-20 seconds and clean up was easy. I was surprised that Velvet Red was moderately water resistant; a layer of pigment washed away but the writing was clearly legible. 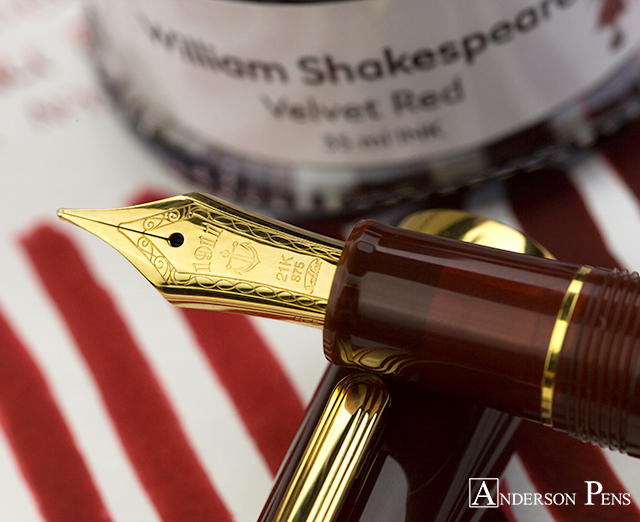 Overall, I’m very impressed with Shakespeare Velvet Red. 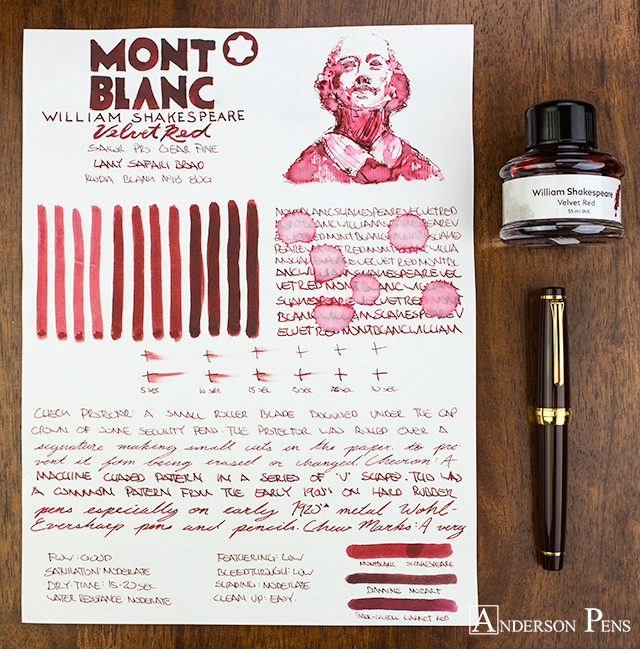 You never know what you’re going to get with Montblanc limited edition inks, but Velvet Red is an excellent color that fills a spot in Montblanc’s lineup. It is a versatile color that can be used for everyday writing or as the red ink in a designated marking pen. Sadly, it is a limited edition color so it won’t be available forever. This entry was posted in Ink, Ink Reviews, thINKthursday and tagged ink, ink review, Montblanc, Sailor, thINKthursday. Bookmark the permalink.